Nashville based Inner Hero LLC today announces the up-and-coming release of Fleets of Heroes 1.0, the company's new futuristic base builder developed for the iOS market. Anyone who has been looking for a base builder offering the chance to create and defend an intricate space station, participate in competitive PvP and win rewards all without becoming part of a vicious cycle of resource robbery. The app will be available December 20, 2018. [prMac.com] Nashville, Tennessee - Inner Hero LLC today is proud to announce an official release date of December 20, 2018 for Fleets of Heroes 1.0, the company's new futuristic base builder developed for mobile to hit the iOS market. Anyone who has been looking for a base builder offering the chance to create and defend an intricate space station, participate in competitive PvP and win rewards all without becoming part of a vicious cycle of resource robbery... don't give up on 2018 just yet. Fleets of Heroes, imminently upcoming base builder from Inner Hero LLC, offers just that. Set in the reaches of space, Fleets of Heroes is a futuristic base builder featuring all of the traits we love, while bringing some creative workarounds for common problems we see in the genre. And its release has just been announced for December 20, 2018. CEO Thibaut De Bock stated in regards to development, "Inner Hero was built on a dream that anyone can build anything with the right mindset and team. 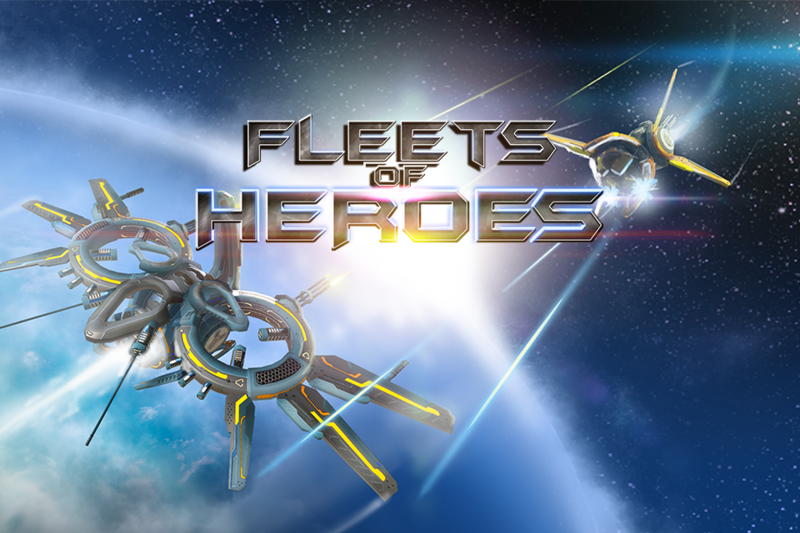 With our debut title, Fleets of Heroes, we aimed to design and develop the ultimate base builder for mobile. Being avid gamers and seeing the shortcomings of previous titles, we studied and reiterated on the game over 2 years with extensive testing and design revisions. The outcome is an original and powerful take on the genre we hope the world will enjoy to play as much as we did during the creation process." Fleets of Heroes will offer different flavors for different players when it comes to gameplay. With an intricate resource and forging system, players can focus on internal expansion and development to grow their bases. Or, if you're more the battle-oriented type you have more than one option to assert your dominance. * Conquest Mode: Conquest is the Fleets equivalent of Story mode, moving through enemy bases with increasingly difficult defenses. * PvP Combat: Combat against other players, offering valuable rewards and more difficult combat, including weekly tournaments offering prizes for cumulative victories. Fleets also boasts a talent system, further adding to the player's ability to create their own experience and narrative. With this idea at the core of Fleets of Heroes, players will have a rich world to explore, and the potential for completely different experiences based on the choices made. Fleets of Heroes 1.0 will be free (With In-App Purchases) and available worldwide exclusively through the App Store in the Games category. For more information, please contact Thibaut De Bock. Inner Hero began as an indie development group in 2012 by 3 members. After gaining traction by developing titles based on simple mechanics, the team was restructured and expanded in order to create higher quality games. Shortly after, Inner Hero LLC was founded in 2017. All Material and Software (C) Copyright 2018 Inner Hero LLC. All Rights Reserved. Apple, the Apple logo, iPhone, iPod and iPad are registered trademarks of Apple Inc. in the U.S. and/or other countries. Other trademarks and registered trademarks may be the property of their respective owners.